TORONTO, June 8, 2012 /CNW/ - Forest Recovery Canada (FRC), a national tree planting program dedicated to enhancing Canada's environmental health and climate change adaptation through innovative and leading-edge forest restoration practices, was launched today by Trees Ontario. Forest fragmentation has become increasingly common across the Canadian landscape by way of agricultural land uses, residential and commercial development, road construction, forest fires and invasive species. Loss of forest cover in the settled landscapes of Canada is contributing to an unstable ecosystem resulting in habitat loss, environmental degradation and an inability to adapt to the effects of climate change. With our forests in jeopardy, there is urgency in the need to expand and intensify tree planting and forest restoration initiatives nation-wide. "Forest Recovery Canada works with partners across the country to identify tree planting opportunities that will establish contiguous and diverse forests that extend beyond the geopolitical boundaries of our cities and provinces," says Rob Keen, CEO of Trees Ontario, during the launch of the ENGO's new national program. "Trees Ontario has experienced incredible success in re-greening Ontario but the need for increased forest cover within settled landscapes is a national matter. Through the development of an extensive network of environmentally conscious individuals, corporations and tree planting agencies, FRC will enhance the resilience of our ecosystems, enabling them to adapt to the effects of environmental change while sustaining a healthier human population." Healthy forests play an important role in the foundation of resilient ecosystems. Trees replenish our oxygen, absorb carcinogenic pollutants in our air and purify our lakes and rivers. Healthy and sustainable forests have also proven essential for economic development and diverse employment opportunities. As well, forests and green spaces have been linked to a significant decline in asthma, heart disease, diabetes and stress, decreases in the severity of attention deficit disorders in children, improved rehabilitation, faster hospital recovery rates and longer life spans. 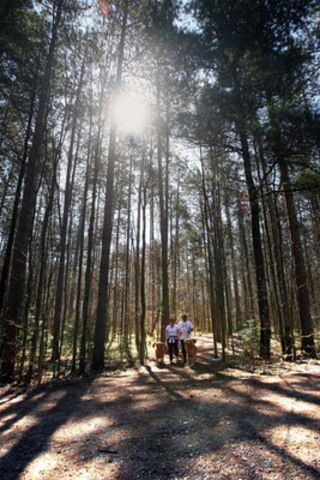 "A growing body of evidence suggests that human mental and physical health is closely associated with the health of our forest ecosystems," says Steve Hounsell, President and Chair of Trees Ontario. "An investment in our natural environment is an investment in our own health and well-being. Poor environmental conditions will not only lead to an unstable ecosystem, but may also increase the incidence of a wide array of illnesses." Forest Recovery Canada recognizes the relationship between the health of forest ecosystems and human health and the need to expand and intensify tree planting efforts nation-wide. This program aims to build consensus, leverage resources, raise awareness and stimulate action to plant trees and enhance urban and rural ecosystems. Increased forest cover will result in healthy and resilient watersheds that offer valuable natural goods and services essential for sustaining a healthy society and a prosperous economy. Rob Keen, a Registered Professional Forester, urges all Canadians to join the recovery efforts. "Canada's forests need us now more than ever. 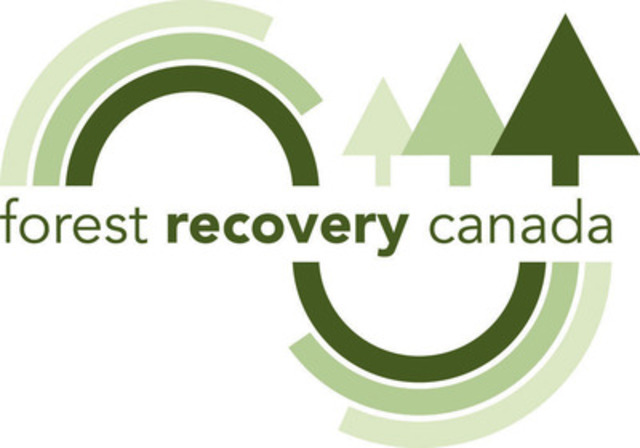 Whether you are a local tree planting agency, a socially responsible corporation or an eco-conscious citizen, you can support Forest Recovery Canada's efforts to restore the health of our environment." Trees Ontario, working with its partners, is the largest, not-for-profit tree planting partnership in North America. It is committed to the re-greening of Ontario through a range of tree planting activities. The goal of Trees Ontario is to restore Canada's tree planting capacity by providing funding and planning support for its tree planting partners. These include local Conservation Authorities, Ontario Stewardship Councils, First Nation communities, municipal governments and community volunteer groups. www.treesontario.ca.